As a Fort Lauderdale wedding photographer, I not only want to meet your wedding photography expectations, I want to exceed them. These kind words from past couples who've I have the honor of photographing their weddings took the time to reflect on the experience they had with me and the photography they received. I hope the comments provide you with a little insight into how I approach every wedding day, I am asked to photograph. WOW is all I have to say, these pictures are incredible all thanks to you and your unbelievable skills. You’re editing makes all the difference. Your truly are talented! We can’t thank you enough for being our saving grace on Thursday to take our pictures. If it wasn’t for you we would probably have none at all ! Thanks for saving the day for us and being so accommodating and so generous with your time on the day of our pictures. I would give you nothing less than a 5 star, that’s for sure. If there was an option for 10 that’s what you would get from us ! I will be sure to visit all the links you’ve sent and to give you excellent ratings on all sites ! That’s the least we could do for everything you’ve given us ! We do have a wedding photographer as of right now. IF for some reason something falls through with that lol you will be the first to know !! Thank you again, and if ever having pictures done in Florida again, you will be the first person we call! 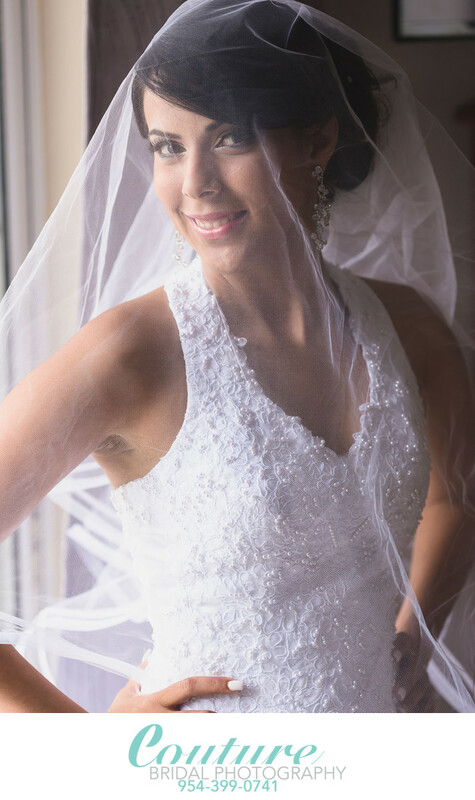 Couture Bridal Photography photographed our March 31, 2018 wedding in North Miami Beach FL. Our wedding pics are phenomonal! We are so pleased and from the beginning, Alfredo and his partner were professional, kind, creative and the pricing is quite affordable! We HIGHLY recommend them! We booked our wedding at the Jupiter Beach resort and we were recommended to use Couture Bridal Photography. We contacted them and met with Alfredo, the owner. He was patient, attentive, friendly and very professional. We decided to choose Couture Bridal Photography after searching for 2 months after meet Alfredo to make sure we were going to make the best decision. Price was not a factor, and we wanted nothing but the best including albums and professional prints. Alfredo was able to provide us with highest quality products and services we sought most. We also loved his style of wedding photography which was authentic and film like. Alfredo performed flawlessly on wedding day with another lead photographer with both having assistants. The best part was family and friends commenting on how kind the photographers were, as well as attentive. We received all our images approximately 3 weeks later and were in awe over every image. Alfredo and Giovanni, captured every moment, every family member and created the most beautiful images throughout the wedding day. Couture Bridal Photography is by far the best Wedding Photography Studio in South Florida and we tell all our family and friends to use Alfredo for their Engagement and Wedding Photography needs! Alfredo is an amazing Wedding Photographer and we are so happy we chose him for our wedding at the W Fort Lauderdale Beach. 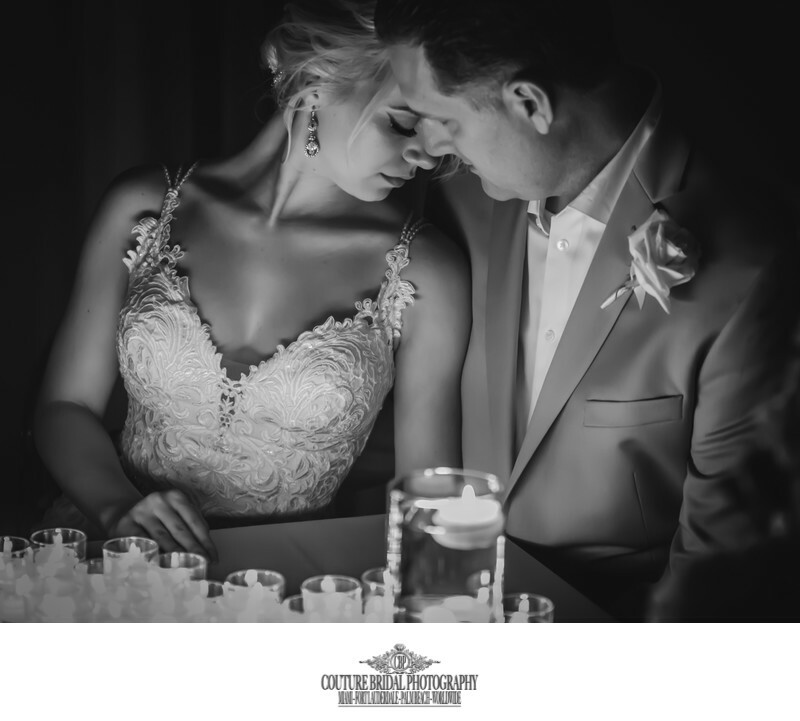 We had researched the best wedding photographers in South Florida and came across Couture Bridal Photography as the one of the best 3 wedding photography studios in Fort Lauderdale and among the top 20 in South Florida. We also discovered Alfredo was listed as a Fearless Photographer and routinely traveled around the country and Caribbean photographing weddings. This gave us confidence that Alfredo was at the top of his game. Alfredo was attentive to our every need, he went beyond what we thought was normal for a wedding photographer on family photos and bridal party pictures. We found Alfredo to be incredibly creative and talented along with friendly. Our friends, family and guest made several comments about Alfredo and his assistants friendliness and professionalism. Our Photos were delivered sooner than we expected and every image was sharp, vibrant and perfectly edited in Alfredo's unique style that we love. We recommend Alfredo and Couture Bridal Photography and wish we could give 10 stars for each of the categories! Couture Bridal Photography Rocks! We had such a great time having Alfredo and his team photograph our wedding day. He was fun, professional, and made us comfortable from our engagement session through to our wedding day! Alfredo and Couture Bridal Photography were the most amazing photographers I interviewed in all of south Florida. Wedding Photography was the most important aspect of our wedding at the Biltmore in Coral Gables Florida. Not only was the photography stellar, the whole wedding photography experience from the minute we spoke on the phone to getting our albums was beyond our imagination. Alfredo, the owner was accommodating, helpful and insightful on every aspect of our wedding photography. He was a pleasure to have with us during the wedding day and just a really nice and professional person to work with. Couture Bridal Photography and its photographers really lived up to their reputation as the best in south Florida! What can I even say! Alfredo is positively a class act. I was referred by my best friend to his services at Couture Bridal Photography and spoke with him with my Fiancee. We we're both taken back at the class act he and the company were and decided to use him as our photographer in Cancun. The pictures came out incredible. The turnaround for the pictures wasn't as long as I've heard. Plus, his personality and ambiance really was fun to work with. Our shots are just as my wife wanted them. So thankful to use their services. He should be ranked more than 5 stars! I am not one for many words, but Couture Bridal Photography lead by Alfredo Valentine, was the most amazing vendor to deal with when putting together my wedding and on wedding day. I have the most amazing wedding pictures I have ever seen and my friends and family that have gotten married over the last few years are wishing they had discovered Alfredo. The best part of Alfredo and his Couture Bridal Photography team, was his ability to incorporate the style of photography I wanted with his own style to make every image purely spectacular. He was helpful from day one and I will recommend him to anyone and everyone I know and meet. Thank you, so much Alfredo for making my wedding that much more memorable and special! Couture Bridal Photography is the best. Hire Couture Bridal Photography and get Alfredo or Giovanni or both for your wedding day. They are the best in Florida and they do destination Weddings anywhere in the world. I found them by accident and I flew them out to California for my wedding. They provided the better wedding photography than the big names in Orange County and better pricing, even with the flights for Alfredo and his assistant. Two of my bridesmaids and 3 family members are booking them for their weddings in NYC, Portland and Italy because they loved the pictures they took and how friendly and helpful they were. BOOK COUTURE BRIDAL PHOTOGRAPHY FOR YOUR WEDDING!!!!! When we began our search for the perfect wedding photographer for our wedding, we had specific requirements based on learning about wedding photography. We were willing to go to any extreme in order to find and book a wedding photographer that was more of an artist and searched every where from NYC to California for the very best wedding photographer we could find sparing no expense. We kept on seeing one name pop up in out online searches, and we decided to view their website and were astonished with the beautiful work. We called and spoke to Alfredo, who was extremely pleasant and knowledgeable. We arranged a meeting and found Alfredo to be very informative and attentive to what we were looking for. Additionally, he was willing and able to work with us regarding a non-disclosure agreement, due to several guests and family members needing the utmost privacy due to their celebrity status. We scheduled a 3 hour engagement session at Vizcaya and within a few days we received some a few teasers which we found spectacular and decided Alfredo and his Couture Bridal Photography team would be the obvious choice for our wedding day. On our wedding day Alfredo and Giovanni along with their respective assistants were simply amazing. They guided and directed us and our bridal parties with patience and understanding and were fun to work with. Our guests raved about their interactions with Alfredo and Giovanni, and raved about their professionalism and friendliness. We received our pictures several weeks later and were amazed at each and every detail captured by Alfredo and Giovanni throughout our wedding day. Each image perfect and complimentary to the images that preceded or followed. We ordered Alfredo's amazing GraphiStudio albums which are made in Italy for our parents and ourselves and could be happier. If your seeking the very best in wedding photography anywhere in the US, I definitely and wholeheartedly recommend Couture Bridal Photography! Couture Bridal Photography aren't Wedding Photographers, they're Wedding Photography artists. Everything from our engagement session to our wedding day and our wedding albums was nothing short of breathtaking. 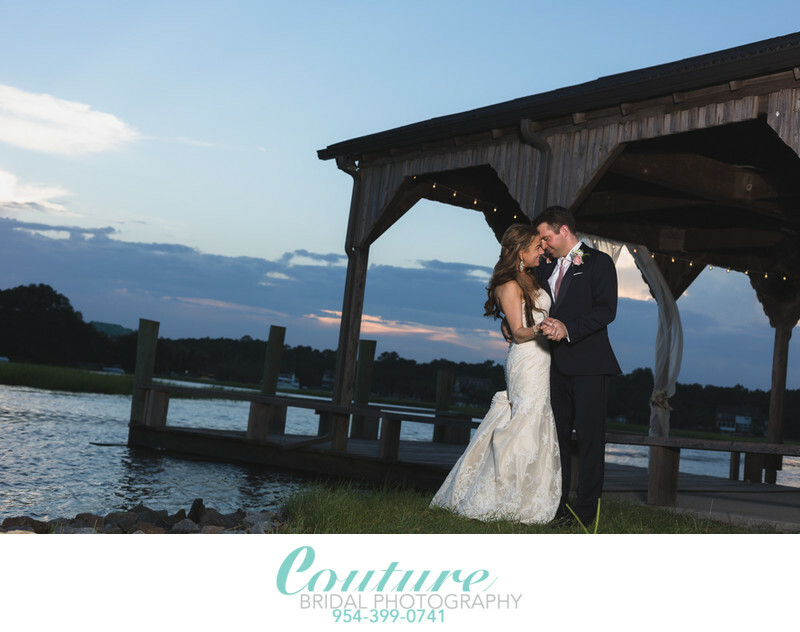 If you want the best experience with a wedding photographer, hire Couture Bridal Photography! Alfredo and his team are the most incredible individuals we have ever met and they are beyond passionate and helpful in making not only your wedding photography fun, but they make getting through your wedding day a completely fun experience! Alfredo and his team are nothing short of amazing. The most professional, talented, and friendly people of all the photographers my husband and I interviewed when planning our wedding. If you were to Google "Fort Lauderdale Wedding Photographers", We called and met with everyone on the first 3 pages and Couture Bridal Photography was the top choice! Alfredo photographed our engagement session, our pre-wedding session and our wedding day with his talented assistant. Alfredo not only was fun to have with us on wedding day, he was quickly the fan favorite of my family and friends who are now looking to book him for their weddings. I completely and whole heartedly recommend Alfredo and his Couture Bridal Photography team for your wedding photography anywhere. You wont find such a professional and talented Wedding Photographer anywhere else, and you wont find someone as kind and caring either!